How do I Buy and Sell on CoinFalcon? Once you have deposited funds into your account, you are eligible to buy, sell, and trade on our platform. You can watch this quick video posted on Twitter or read the instructions below. Go to your dashboard and click on the Buy/Sell tab on the top navigation bar. 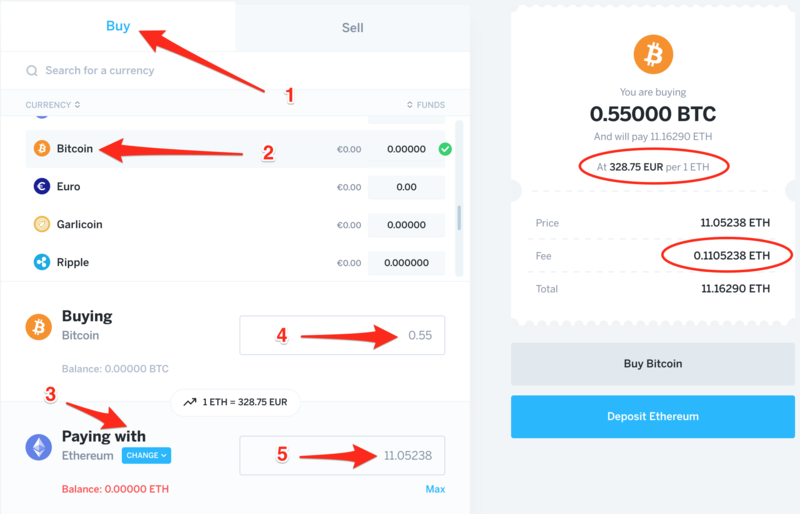 #3 - Select Ethereum under "Paying with"
We encourage you to review the summary to check the exchange rates of your trade. In case you don&apos;t find the rates favourable for you as they are based on the order book from the Advanced View, you may limit orders on the Advanced View instead. After you&apos;ve reviewed the summary, you can then click on "Buy Bitcoin" button located below the summary on the right to finalize the trade. Keep in mind the currency exchange rates are not fixed and fluctuate throughout the day. The figures shown in the screenshots above are the values at that period of time and your values might be different. The best way to check the exchange rate is the Rates section in your dashboard which shows current currency exchange rate as well as historic prices which can be sorted by time period. Alternatively, you may also use the Advanced View to sell or buy cryptocurrencies. See our fees page here. Limiting orders - you have the option to limit orders, which allows you to set both your own price (exchange rate) and the amount you want to buy or sell; however, this could take some time depending on the orders on the queue and the rate you&apos;ve set on your order as it will go through the bids and will only be fulfilled once a user sells or buys a rate that matches yours. 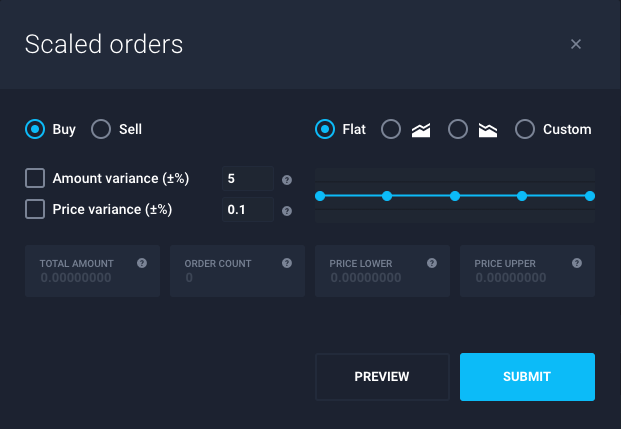 Scaled orders - You can use this feature to execute a trade in multiple orders at your desired rates, number of orders, and sizes, thus, speeds up the matching of orders. Feel free to play around the scaled order feature by clicking on the "Preview" button before you execute the orders.